My seriously cute “Little Scraps” teddy bears are hand knitted from the rare breed wool left over from making my larger bears. 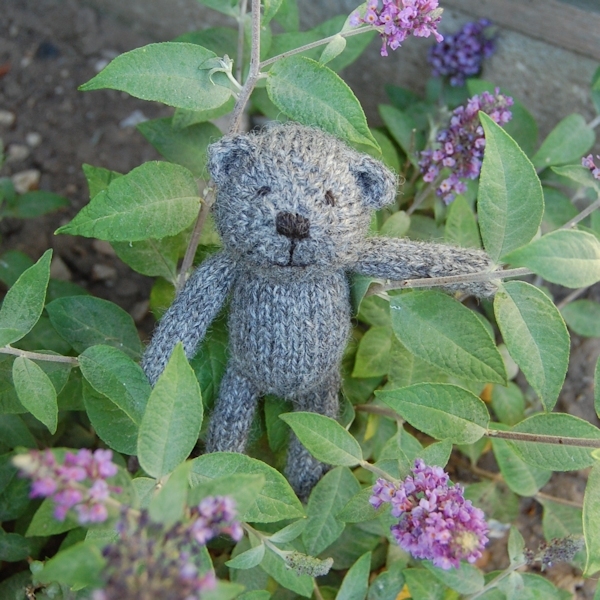 Having a stash basket of smaller amounts of my hand spun wool and needing a good use for it, “Little Scraps” seemed the obvious solution! 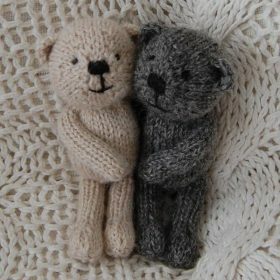 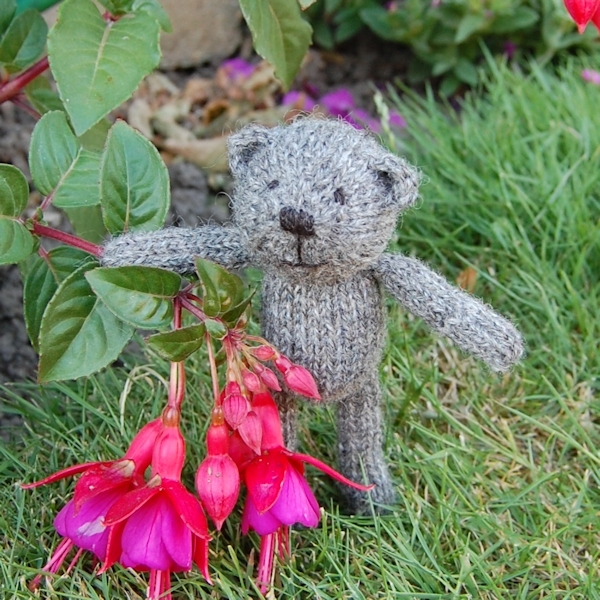 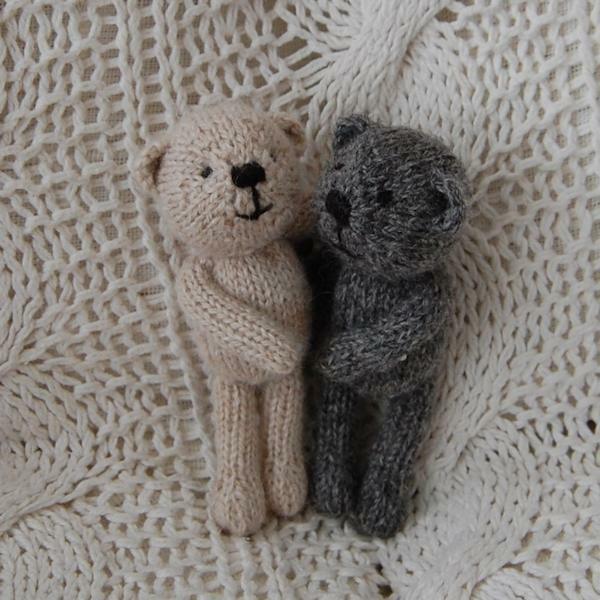 These adorable little characters, measuring just 5.5 inches, are all as carefully hand knitted as my larger teddy bears. 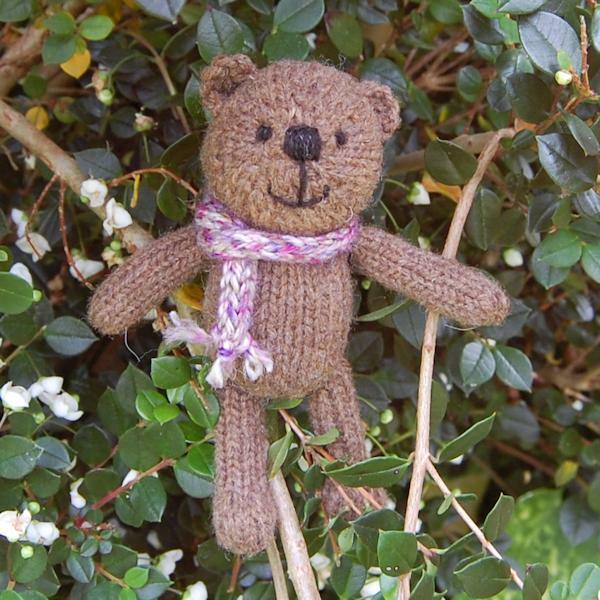 However these little ones do not have glass eyes but have adorable expressions carefully hand embroidered, giving them a real hand made rustic appeal and ideal as they are also safe for young children as well as an irresistibly cute companion for any adult bear lover!